What makes a relationship such a rewarding experience can also be a point of contention between partners—different perspectives. In a relationship, there are two parties, so there will always be two differing sets of opinions and two unique points of view. This is not to say that relationships are unavoidably contentious, however. This is an opportunity for two lovers to better understand one another and grow together. Before that, though, it is important to keep a couple of things in mind. Confirmation bias and negativity bias are two ways in which people tend to think (especially) when processing difficult situations. However, becoming aware of these tendencies and patterns of thought can alleviate the tension that they create so that both partners can cultivate a relationship based in support and trust. These negative ways of thinking can chip away at a relationship’s foundation, so it is important to be wary of them. Confirmation bias has a way of rearing its ugly head quite often, but that’s because it’s a very easy way to navigate though life. It allows people to support their beliefs and exist in a space where they never have to confront the reality that they might actually be wrong. For example, suppose a man states his opinion that, “all Italian restaurants put too much sauce on their spaghetti.” By seeing the world through a confirmation biased lens, he can then seek out instances and examples that prove his claim is true—no matter how outrageous. It is a form of closed-mindedness that, to the biased perspective, outweighs any evidence to the contrary. This way he can confirm his opinions and beliefs, feeling good about his choices and the way he lives his life. Because this is so common, it happens in relationships and is detrimental to the bond between two partners. If one of the partners determines that the other doesn’t clean enough around the house, for example, if he comes home to see his significant other relaxing in front of the TV, he will confirm his opinion by focusing on the house being dirty as a result of an imbalance in cleaning responsibility. This fosters negativity and condescension in the foundation of the relationship. Negativity bias tends to go hand in hand with confirmation bias. This occurs because humans tend to emphasize the negativity of a situation or person instead of seeking out the positive. We give greater weight to negative experiences. For example, after a new haircut, no matter how many compliments we hear, if one person has a negative opinion, we become much more self-conscious. In a relationship, couples tend to draw negative conclusions about one another, especially during emotionally strenuous times. One partner may interpret a bad mood as a personal offense towards their presence when, in fact, it was just a result of having a bad day. However, instead of discussing it openly, both parties are left to their negativity bias, eroding at the relationship from the inside out. The best way to work against these biases and cultivate a positive relationship is to first acknowledge them, then recognize the circumstances that tend to bring these biases to the forefront of our thinking. Afterwards, make a concerted effort to open-up lines of communication. For some, this works best with the help of a licensed counselor. 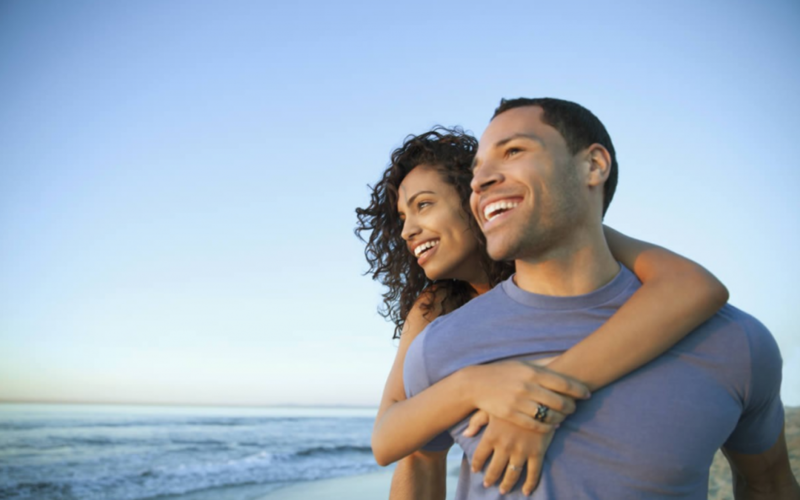 The counselor can act as a liaison to help both partners grow together in a healthy relationship. If you and your partner believe in the relationship and want to meet with a trained professional to determine how you can better communicate as a couple, visit our website at SusanBlockLMFT.com.